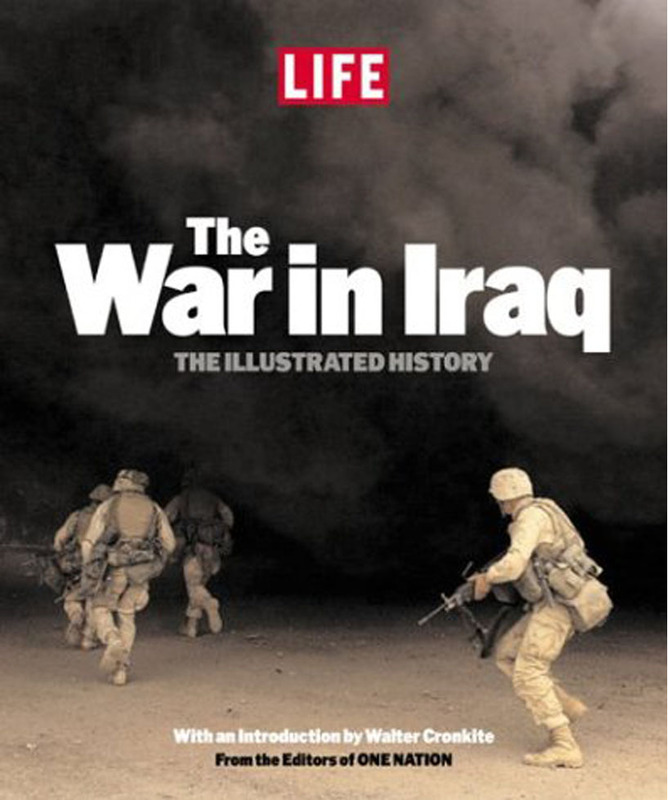 Life: The War in Iraq: The Illustrated History Hardcover Book ‐ Jun 16 2003 by Editors of Life (Author). Beginning centuries before the rise of Saddam Hussein and continuing in the volatile aftermath of his fall, The War in Iraq: The Illustrated History relates, in vivid words and pictures, the saga of an ancient, beleaguered people. Dramatic, intimate photographs of Gulf War II tell a gripping tale. This new LIFE volume comes from the team of editors whose ONE NATION: America Remembers September n, 2001 spent a half year on The New York Times Best Sellers list. The Wall Street Journal called it "a thorough and thoughtful telling." It’s a heavy book making shipping is expensive.